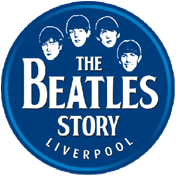 Located in the Fab Four's hometown of Liverpool, the award-winning Beatles Story experience is an atmospheric journey into the life, times, culture and music of the Beatles. Join us on a magical mystery tour to see how four young lads from Liverpool were propelled to the dizzy heights of worldwide fame and fortune to become the greatest band of all time. Major expansion in 08/09 saw the Beatles Story triple in size and expand over two sites to include even more fun and interactive features. Explore our website to find out more!